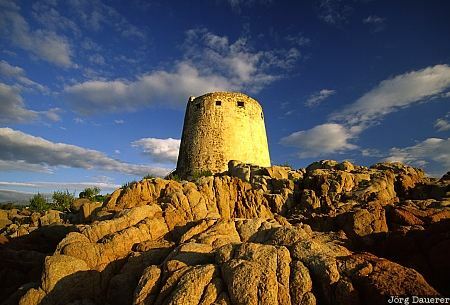 Torre di Bari in soft morning light on the east coast of the mediterranean island of Sardinia, Italy. This image was taken in the early morning of a sunny day in April of 2005. This photo is part of the exhibition Towers (February 2011).